Latest News: You can make your booking with us for Le Mans Classic 2020. The confirmed dates for the event are the 3rd- 5th July 2020. Please call us now to reserve all your tickets for Le Mans Classic 2020. We have a number of camping places available at an excellent private campsite located just 8km South West from the Le Mans circuit near the village of Guécélard. The campsite has a particularly friendly atmosphere, organised and run by British motor racing fans who have detailed knowledge of the race and locality have been attending the 24 hours since the 1980s. The campsite has good clean showers and toilets with mains water and access to electricity. Complimentary games such as table football and darts are provided. There is a well-stocked bar that offers English Ales, lager, wine, cider and soft drinks at preferential prices. A traditional full English breakfast and evening dinner are provided for the three main race days. There are also convenient additional local facilities such as a supermarket, bakery, bistro/pizzeria, tabac and local restaurant nearby. Includes full English or continental breakfast and dinner Friday – Sunday. Circuit Laps: We will have a limited number of track laps available for our customers. 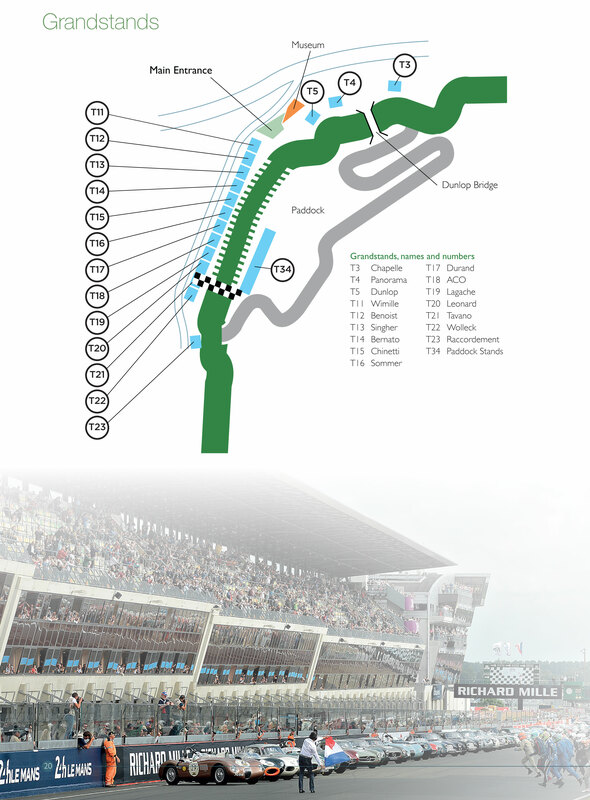 Only qualifying cars will be allowed on the circuit during Saturday Morning. 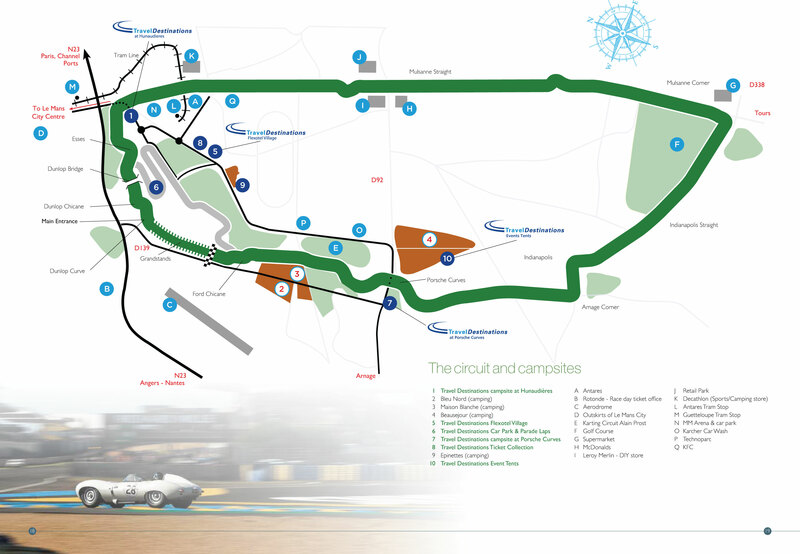 Circuit laps can be added to our camping offers at the time of booking from £199.00 per car. Helmets are compulsory. Vintage Bus Tour: A lap around the circuit on board a vintage bus can be purchased from £65.00 per person. Helicopter Flights: Short helicopter flights over the circuit during the race weekend may be purchased from £170.00 per person. Picnic Baskets: Official Le Mans Classic picnic baskets (for 2 people) can be purchased in advance. The baskets can be collected at the circuit on the mornings of Saturday & Sunday as required from £80.00 per picnic basket (for 2 people). Brittany Ferries: Crossings are also available from Portsmouth to St. Malo at a supplement of £90.00 per vehicle.